For a truly quintessential Southern California experience, retreat to Park Hyatt Aviara, an iconic Forbes Five-Star and AAA Five-Diamond luxury resort perched atop 200 lush acres on the sun-drenched Pacific Coast just north of San Diego. Wind through green rolling hills, taste the salty air of the blue Pacific and enjoy spectacular views of Bataquitos Lagoon at Aviara Golf Club, home of the LPGA Kia Classic and named by Golf Digest and Golf Magazine as one of the top resort golf courses in America and the #1 golf resort in San Diego by the readers of Condé Nast Traveler. 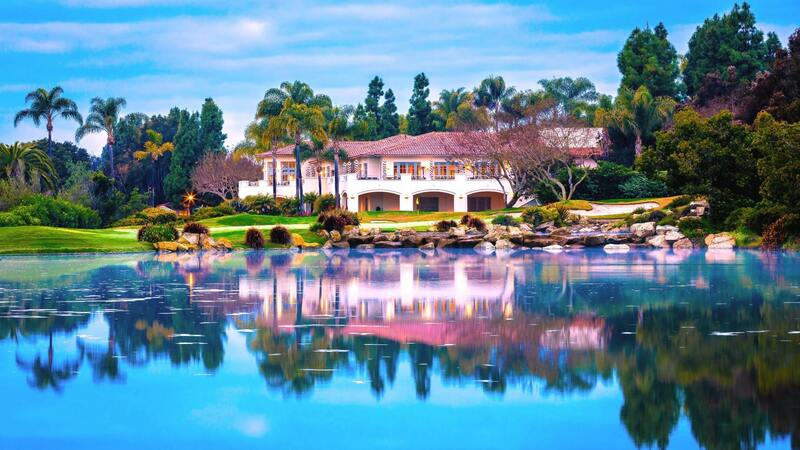 This championship Arnold Palmer 18-hole layout is the ultimate destination for golf in north San Diego and features premier golf facilities, including a practice driving range, putting and pitching greens, an industry-leading GPS system on all golf carts, and an upscale golf shop. The elegant two-story Spanish colonial clubhouse features locker facilities, a full-service bar, and a cozy lounge with a fireplace. Meet friends at the adjoining Argyle Steakhouse with indoor and outdoor balcony dining overlooking the 18th hole and lush fairways. Enjoy spacious rooms and suites with private balconies, an adult-only pool and five dining options after you play where the pros play in Carlsbad, California.